New heroes and villains are introduced into Marvel’s comic-book continuity almost every week. Iron Man periodically exchanges laser fire with new techno-villains, and different characters suit up as Captain America for a spell, but these story deviations from the core conflicts and characters rarely have lasting impact in the universe. Most of the new characters disappear into Marvel’s expansive archives and are never heard of again. 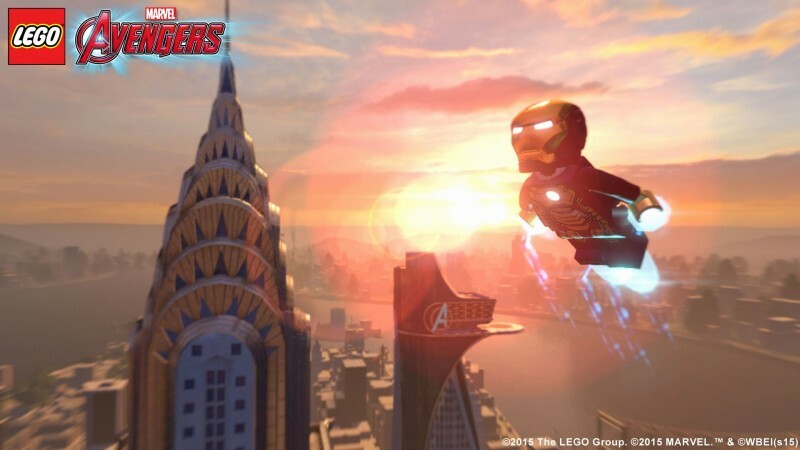 Some of those forgotten heroes find a home in Lego Marvel’s Avengers. 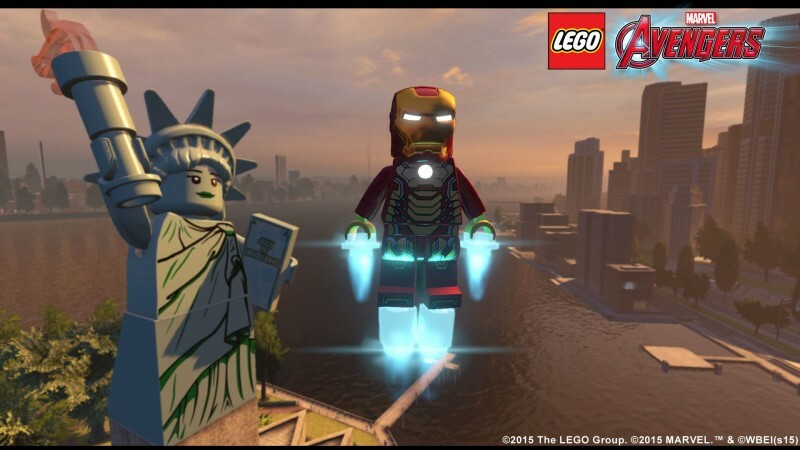 On the surface, this is a video game adaptation of the Marvel Cinematic Universe. 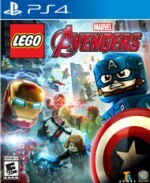 The game offers lengthy campaigns that recount all of The Avengers and The Avengers: Age of Ultron. Tucked off to the side are additional levels based on Iron Man 3, Captain America: The First Avenger, Thor: The Dark World, and Captain America: The Winter Soldier. 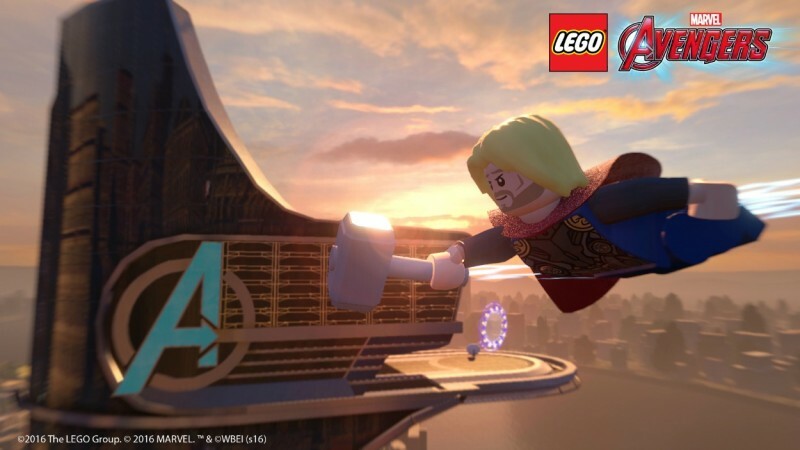 In all of these well-designed stages, The Hulk smashes up a storm, Iron Man’s firepower is put to the test, Captain America’s shield is used for puzzle solving, Thor sprays lightning all over the place, Black Widow hacks into computers, and Hawkeye pretends to be powerful. TT Games homes in on the excitement of the films and has fun with the stories, inserting banana and toilet-plunger jokes whenever possible. It’s an enjoyable ride, and a great way to re-experience these films. 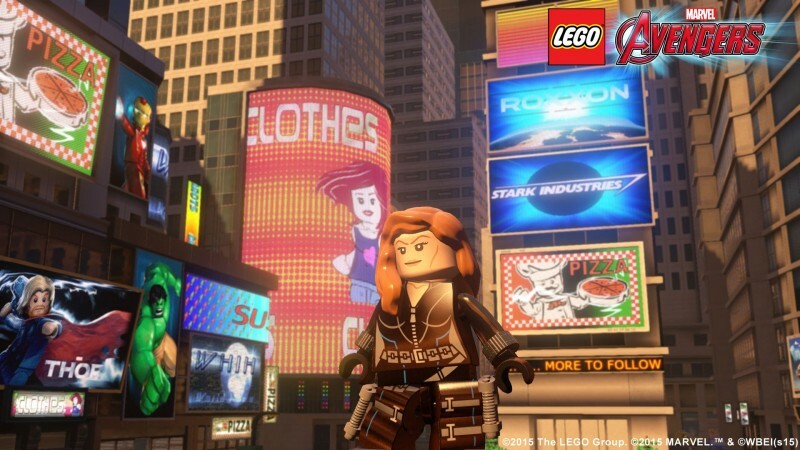 Throughout the entire game, TT Games finds a nice balance between action and puzzles; Lego games often place too much emphasis on the puzzles and the time-consuming minigames tied to them. These levels flow nicely, look absolutely stunning, and don’t feel like they stretch on for too long. All of the levels are inspired by the motion pictures, but a deeper dive into the post-campaign content reveals most of the unlockable characters are completely divorced from the films. A good majority of these characters are blasts from The Avengers' past that even the most devout Marvel fans likely won’t recognize. Another portion of the characters are deep cuts from the movies, such as The Avengers’ Beth the Waitress, a playable hero who pours coffee. 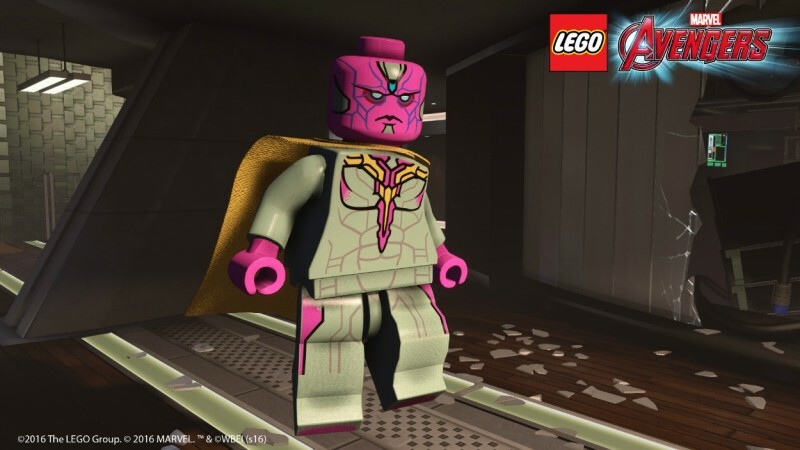 Unlike Lego Marvel Super Heroes, you won’t find any characters directly associated with Spider-Man, Fantastic Four, X-Men, or the Guardians of the Galaxy movie (outside of The Collector, who is brilliantly sewn into the collecting aspect of the game). For every unlockable outfit for Captain America, you run into character oddities like Reptil, Butterball, Rescue, and Detroit Steel. I often had to hop online to visit Marvel’s database to learn who these characters were. A character like Reptil last appeared in an issue of Avengers Academy, but only on page 19. As much fun as it is to dive deep into what I would call Marvel’s D-list characters, I didn’t have that much fun controlling the majority of these characters. Few of them feel as fully fleshed out as the recognizable A-listers on the roster, and many have practically identical moves. Given just how diverse the Marvel universe is, I find it odd that TT Games once again decided to use New York City as its overworld. 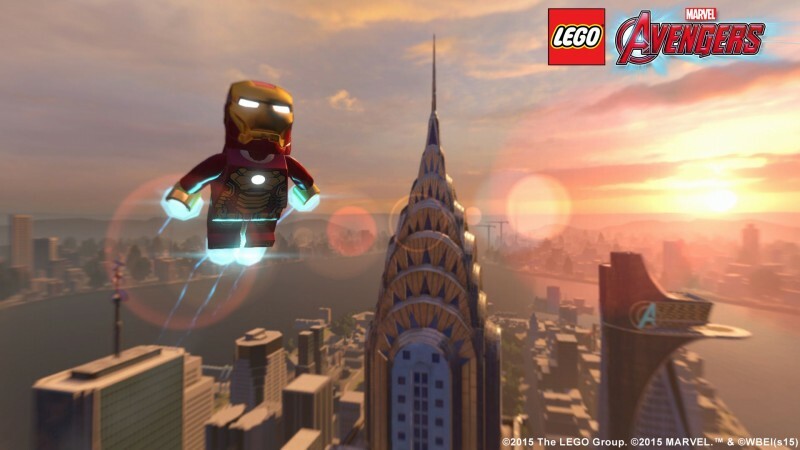 Although the challenges within it are new, retreading familiar territory makes it feel like more of the same from Lego Marvel Super Heroes, including the ability to fly from the ground to an airborne S.H.I.E.L.D. heli-carrier. TT Games did a bang-up job with the challenges tied to gold bricks and unlocking characters. I love how Agent Carter’s missions are told in a flashback style, and although there are a number of fetch quests to complete, most bring a unique strand of humor. There are plenty of big laughs in this game, both in the campaign’s story and the bonus side content. Most Lego games are better played cooperatively with a friend, but Lego Marvel’s Avengers periodically struggles to properly frame the action when two players occupy the world. In one stage, a necessary jump is hidden from view when both players are together. The only way to see it is to have the second player drop out, which changes the viewpoint. I also ran into numerous crash bugs tied to co-op. Sometimes a crash would occur from a transition to new area not triggering, leaving the characters stuck in their idle animations. Another game-ending moment came from my friend’s character getting stuck behind a door that hadn’t yet opened – a door only accessible by that specific character. Seeing how TT Games pokes fun at Marvel’s films is worth the price of entry alone. The gameplay is also quite good, but it is a little rough around the edges. The biggest strike against it is secret characters aren’t as noteworthy as those in Lego Marvel Super Heroes. This Lego experience is more for comic fans who can appreciate seeing a character who hasn’t appeared in anything since the 1950s. 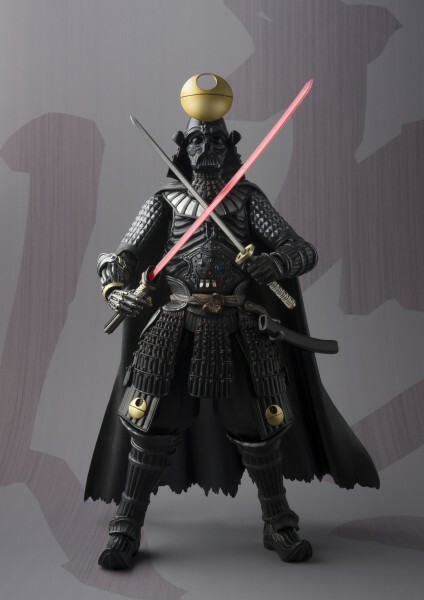 character who hasn’t appeared in anything since the 1950s.